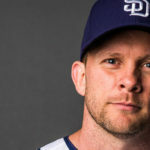 There is no such thing as a “must-win” game in early April in baseball but the Padres were losing momentum very quickly after a good start. The Diamondbacks came to San Diego and knocked the Padres around for a total score of 18-8 heading into Wednesday’s series finale. Joey Lucchesi took the mound for the second time this season after pitching 5 1/3 scoreless innings last Friday against the Giants. It was much of the same on Wednesday afternoon even though he had to pitch out of a couple minor jams. 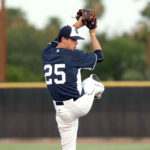 He eventually finished with five scoreless innings and six strikeouts with one walk and for hits. 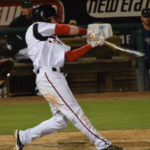 The game itself remained scoreless until the bottom of the fifth inning when Fernando Tatis Jr. worked a two-out walk. 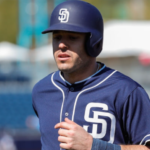 Austin Hedges followed suit with a walk, which brought up pinch-hitter Francisco Mejia. 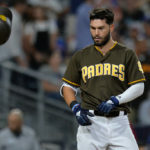 One top prospect scored the other as Mejia lined one down the left field line, scoring Tatis easily to break the scoreless tie and give the Padres the slight 1-0 advantage. Craig Stammen pitched a perfect sixth to set the Padres up to add on, which they did. Manny Machado worked a walk, as did Franmil Reyes. Yoshihisa Hirano replaced starter Robbie Ray for Arizona and proceeded to allow a single to Hunter Renfroe, fresh off of his big two-homer night, to load the bases, then Hirano walked Hosmer to force in a run, gifting the Padres a 2-0 lead. The Padres would seal the deal in the seventh inning. Ian Kinsler got aboard with a single ahead of Machado. 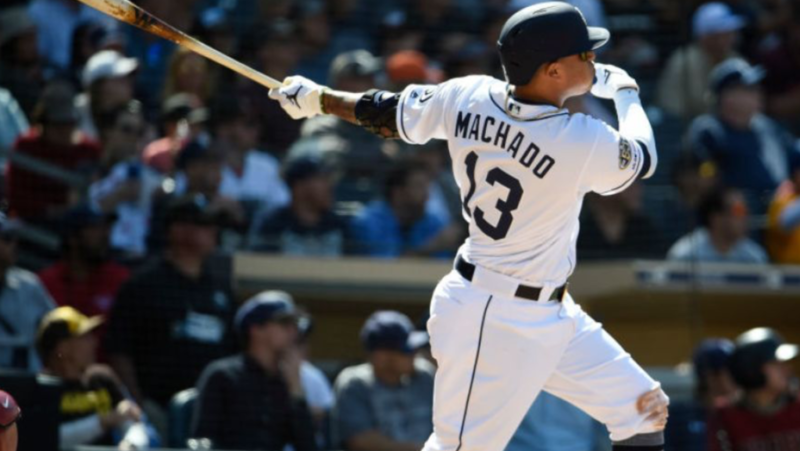 Machado then lined an inside pitch over the left field wall, practically denting the Western Metal Supply Co. building for his first home run as a Padre. Machado finished 1-for-2 with two walks and has reached base six times in the last three games. This gave the Padres a 4-0 lead which they would hold on to. Trey Wingenter pitched a clean eighth inning with a strikeout after Stammen’s two frames. 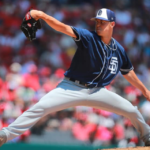 Kirby Yates came into the ninth inning and allowed one run to score after two doubles but locked it down to give the Padres the 4-1 win and struck out Nick Ahmed looking to end the game. This also gave the Padres a winning opening homestand at 4-3 and they are yet to be below .500 this season. 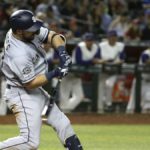 San Diego regained some traction after slipping in the first two games of the series with Arizona. They now can go into their first road trip of the season with some confidence. Wil Myers continues to swing a hot bat as he added another hit today, pushing his average in the first seven games to .391. They had some tough breaks in this series but the Padres are above .500 after seven games for the first time since 2015. The Friars now head to St. Louis to face the talented Cardinals for their home opening series. Thursday’s game is postponed due to rain and the series will commence on Friday, giving the Padres an off day to travel.